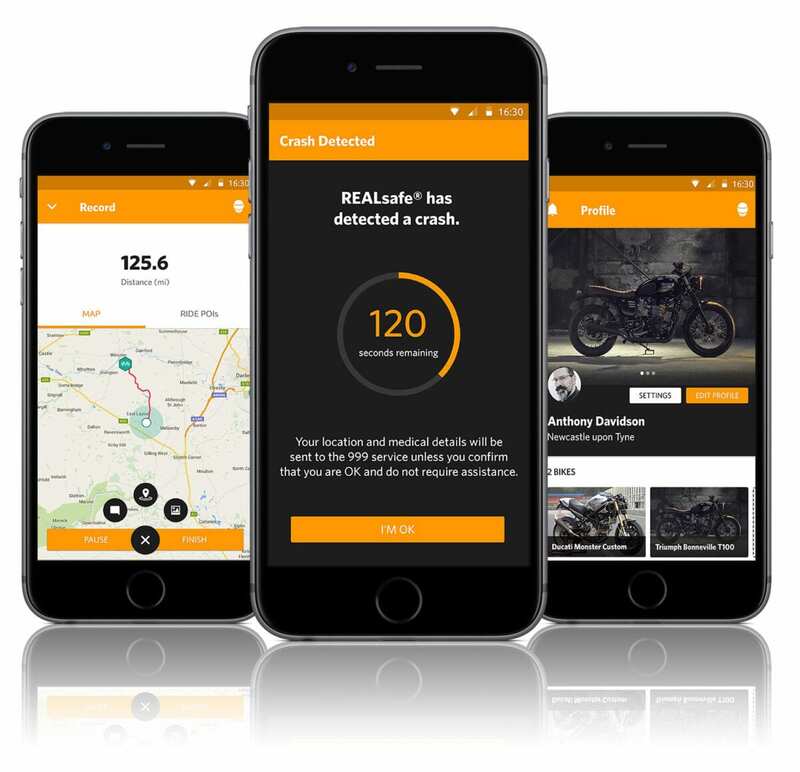 REALRIDER is a smartphone app that connects a huge community of bikers, offering great routes and places to go, while incorporating REALsafe crash detection technology that makes it the first 999 certified/integrated app, to get the emergency services to you fast if the worst happens. 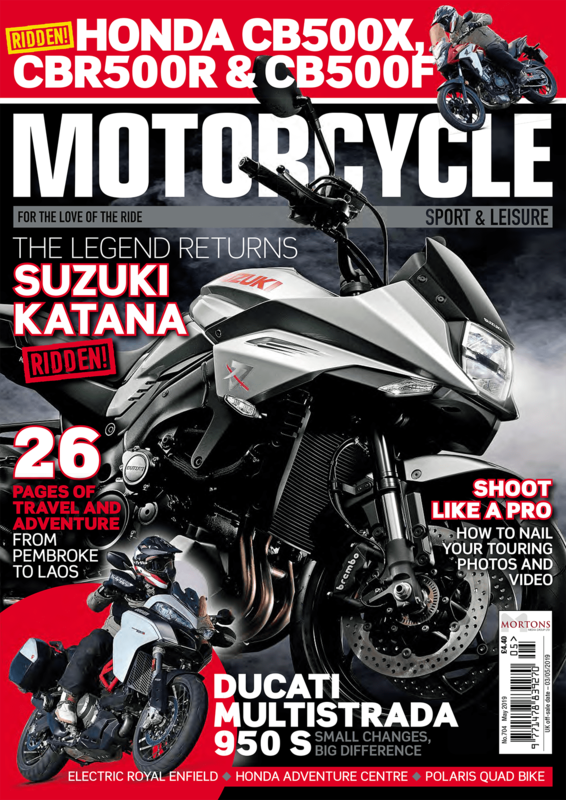 The REALRIDER app is free to download on iOS and Android, and gives bikers the ability to not only record and share routes from anywhere in the world (look out for upcoming routes from MSL press launches), but to store important bike information and receive MoT and service reminders, or even create social media alerts if your machine’s stolen. The free app also allows users to mark points of interest, take photos, and add comments. This data is stored on your phone until you’re ready to upload with WiFi or a data connection. While the app has been completely rebuilt – if you already have it, delete your current version and download the new one – the team is still working hard to add even more functionality, such as a ‘private zone’ that hides your home and work locations when sharing your routes, and the ability to download routes to your sat-nav. There are also promotions and discounts lined up from a range of manufacturers and retailers. REALsafe works within the REALRIDER app, and is the first ever to be 999 certified. This means that, rather than dialling to a call-centre, in the event of an accident your phone will automatically dial direct to 999. Currently only available in the UK, talks are already happening with services around the world – it’s the reliability of the technology and the use of downstream satellite data for the most accurate location information, that makes it so attractive to ambulance dispatchers, having just a 0.01% false-positive crash alert activation across 50,000 sessions in the past 12 months. Once activated, your smartphone’s array of built-in sensors monitor your movement – there’s no need for black boxes on your bike, so it doesn’t matter what you’re riding. It’s also important that the phone is with you, as the GPS location data can help the ambulance crew pinpoint your location if you’ve become separated from your bike. If a crash is detected, and you’re travelling above 20mph, REALsafe is activated. It then waits ten seconds to see if you move out of a temporary ‘geo-fence’, which is time for you to stop tumbling, and then to see if you stand up and walk around, in which case it will cancel. If you’re not moving, REALsafe assumes you’re unconscious, so will make the phone sound, vibrate and generate a message on screen. If you don’t respond within two minutes all the data you’ve entered into the app like name, blood group etc is sent to the nearest ambulance control room via 999, which can dispatch an ambulance directly.